President and Founder, Dr. Catherine deVries’ with Dr. Ray Price are awarded for their efforts. IVUmed’s President and Founder, Dr. Catherine deVries was awarded the Surgical Humanitarian Award from the American College of Surgeons along side Dr. Ray Price, who was awarded the Surgical Volunteerism Award through the same organization. 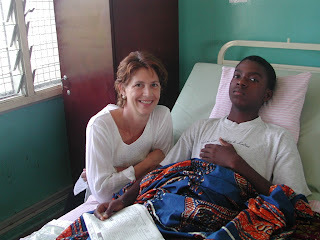 Dr. deVries’ efforts in surgical education worldwide does not go unnoticed. With the formation of IVUmed over 20 years ago, Dr. deVries has developed with the help of staff and fellow board members, a surgical urology education platform embraced by physicians around the world. This passion has lead to IVUmed’s successes in building relationships with 30 countries since its inception. Building these relationships, local healthcare professionals have learned valuable urological skills to treat their communities.